Last night Emily and I looked at houses for an hour or more. Hopefully, we will be purchasing one of those in Brigham City in the next 12 months or so. Then we climbed into bed and talked with our heads on our pillows till nearly 3 AM. It's really nice to be married to your very best friend. Being married is an adventure, and I don't know much about it 'cause I just started out, but I am a lucky guy, that much I know. 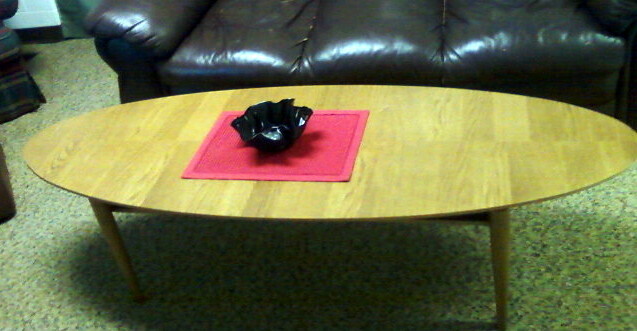 Emily scored this sweet coffee table - for free. 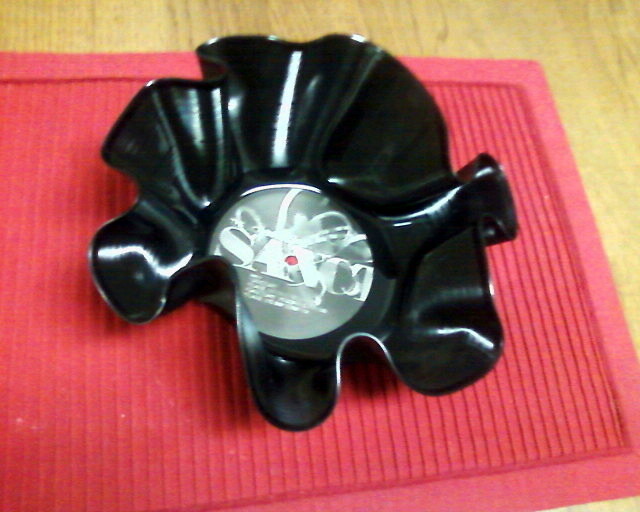 We made this bowl from a useless vinyl LP. We're going to put Werther's Originals in it. Cool?